Time passed so fast! It has been 7 years since I first came to Hua Zang Si. I am greatly humbled by what I have learned so far. I feel I can do a lot more and grow a lot faster spiritually. When I look back at the time before I came to Hua Zang Si, I did not know much about Buddhism and cultivation. I had wasted a lot of time in housework, watching TV and going to restaurants. Decades past, now I am in my 70s and wonder how many decades there are for me to live. I know the impermanence soon will come, so I remind myself about the urgency to cultivate myself and do the right things. When I reached retirement, I was lucky to get to live in a government senior housing project on 21st Street in San Francisco. I lived there for several years without knowing I was right behind Hua Zang Si and had to travel to faraway City of Ten Thousand Buddhas to pray. In 2009, when my neighbor asked me to go with her to a temple to worship and eat a vegetarian meal, I thought we were going to travel far away, but my neighbor said it was that temple with pointed roofs on 22nd street! How come I never knew it was this close! Then I realized that it must be Guanyin Bodhisattva who had come to lead me, because, that year, I somehow started to chant silently Guanyin Bodhisattva’s name whenever I was walking, driving, or by myself. I did not know anything about Buddhism. I just chanted like others. I would even talk to myself and be very grateful to Guanyin Bodhisattva for being able to live in government housing and have everything I need. I started to look for Buddhist followers. Finally, my neighbor brought me to Hua Zang Si. The first time I came to Hua Zang Si with my husband, there was a Dharma Assembly. The statues of Buddhas and Bodhisattvas at Hua Zang Si are so solemn and majestic. My husband said he felt very peaceful and comfortable there. So I said to him, ” From now on let’s come here to learn Buddhism. It is close and convenient.” At home, I have a chanting player, which was gifted by a friend. I usually leave it on all day, but I can never understand what is chanted. However, after the first visit to Hua Zang Si, strangely, I can understand clearly if it is chanting the holy names of Guanyin Bodhisattva, Amitabha, or other holy names, From then on, we both go to Hua Zang Si every Sunday for the group cultivations and I also started to listen to the recorded Dharma expounded by H.H. Dorje Chang Buddha III. Hua Zang Si is like a family to me. There is no separation between you and me. We help and care about each other. It is at Hua Zang Si where I learn to have a pure selfless heart and do everything to benefit all living beings. H.H. Dorje Chang Buddha III has bestowed on me rich and boundless knowledge. To me learning Buddhism and cultivation is like attending a high-end college There are so many things to learn. I have realized how ignorant and lack of understanding I was before I came to Hua Zang Si. Now I feel very happy, even happier than any other people. Hua Zang Si is an orthodox temple of correct Dharma of the Buddha. Therefore, at Hua Zang Si, I am able to learn the correct Dharma of the Tathagata of the Buddha. In addition, Hua Zang Si is so close that I feel like Buddha is right next to me all the time. This kind of happiness cannot be obtained with money and I want to treasure it and protect it. I remember in the early days when I was at Hua Zang Si, I did not do much because of lack of Buddhist knowledge. When I was asked if I was “doing my homework”, I did not know what it meant. Later when I read the book written by Pamu, I finally understood the ultimate goal of Buddhism, and why I must cultivate my behavior and practice the Buddha Dharma at the same time and all these must be built on the correct Buddhist views and understanding. 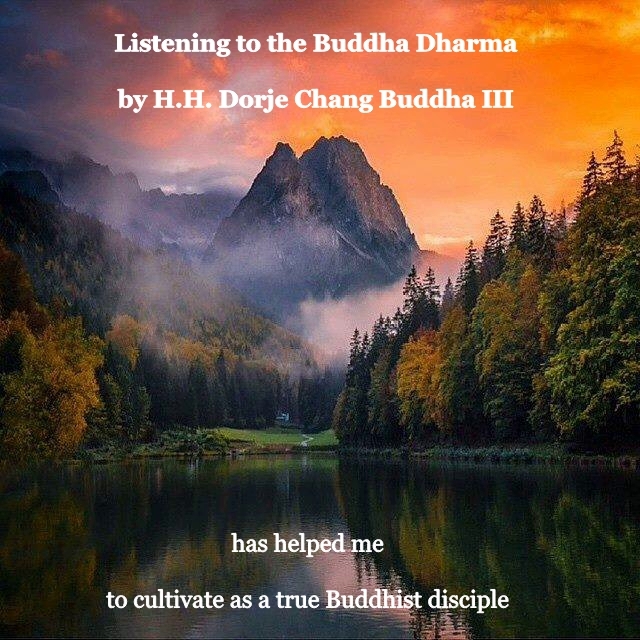 Therefore, I have been devoting my spare time to listening to the recorded Buddha Dharma expounded by H.H. Dorje Chang Buddha III at Hua Zang Si or other Dharma-Listening centers. After listening to the recorded Dharma, I gain a lot of Buddhist knowledge and understand the principles of the Buddha Dharma, which are correct and meaningful. I gradually understand the true goal of leaning with the Buddha and cultivation. I deeply feel the Bodhicitta and great compassion and kindness of the Buddha. The Buddha is so patient and skillful in teaching us. All he wants is to liberate all living beings. On the other hand, I also feel so sorry for those who are ignorant of Buddha Dharma. They are always so deeply indulged in greed, anger, infatuation, affection, joy, resentment, sorrow, and happiness. They tumble in the colorful lives of theirs, and cannot be awakened. I feel so sorry and anxious that they are still subject to the impermanence and the in the cycles of birth and death. I feel so powerless. Therefore, I must first focus on my practice and sincerely dedicate the merits of my practice and cultivation to all living beings who have karmic affinities with me. May they have a chance to encounter the correct Buddha Dharma of H.H. Dorje Chang Buddha III and get onto the holy Bodhi road to liberation and accomplishment. 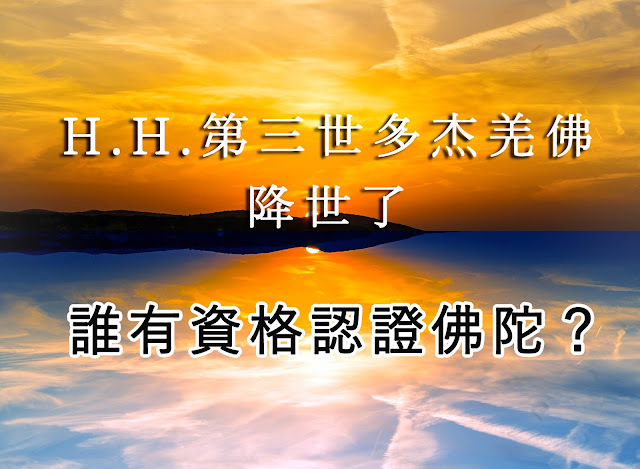 After all these years of learning Buddhism, there is one thing that I believe deeply with no doubt: if we study and cultivate according to the teachings of H.H. Dorje Chang Buddha III, we will definitely rid ourselves off all our sins and hindrances, ignorance and confusion, greed, selfishness, and pettiness; we will become a good person with wisdom, compassion, and a pure mind, a true Buddhist disciple who has correct views and understanding and will not wander away on a wrong path, a nobleman who is devoted to helping, benefitting and serving all living beings.